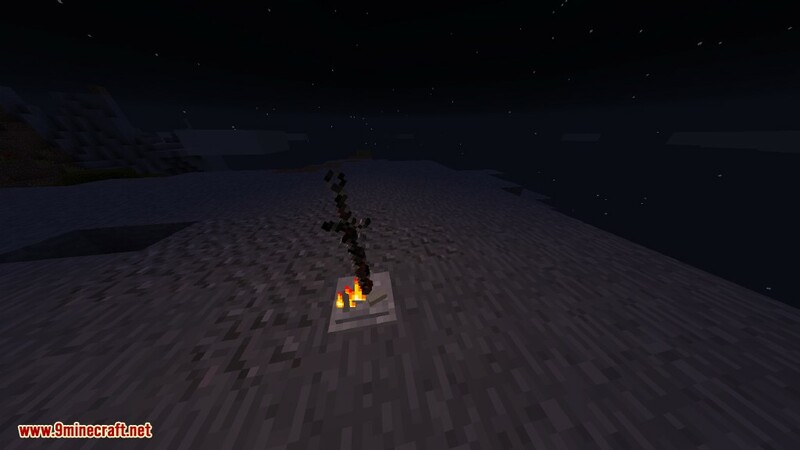 Bonfires Mod 1.12.2/1.10.2 brings bonfires from the Dark Souls games to Minecraft. For those who have not played the Souls games, bonfires act like checkpoints which can be teleported to and will heal the player. 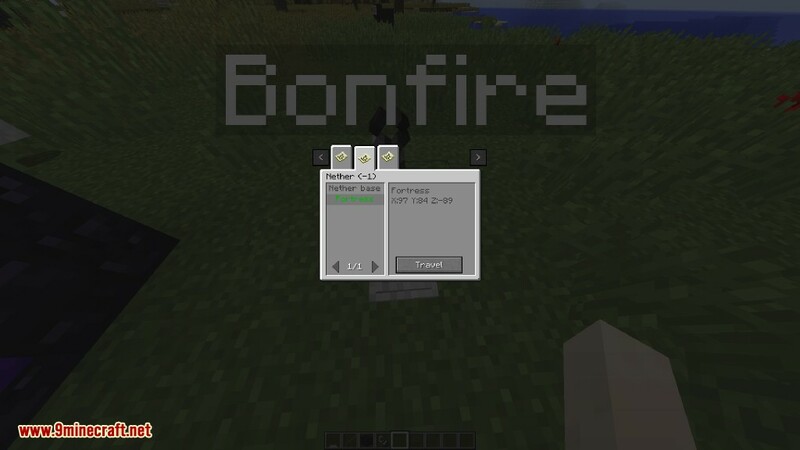 In this mod these bonfires can be created and named which then can be used to travel to any other bonfire in any dimension even mod dimensions. Using a bonfire will also set your spawn location like a bed. It also adds the Estus Flask, which is essentially a multi use healing potion which is restored when using a bonfire. 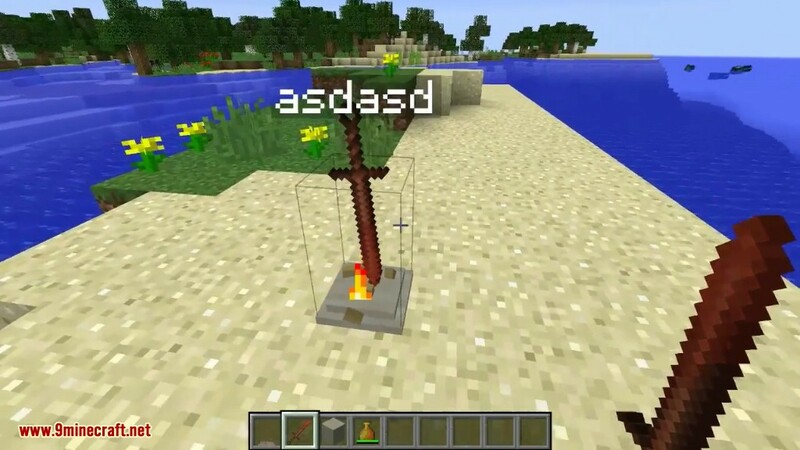 The Coiled Sword, which is a component of bonfires, can be used as a sword which will set mobs on fire. There are also 2 items which can be used to return to your spawn point, the Homeward Bone and the Coiled Sword Fragment. 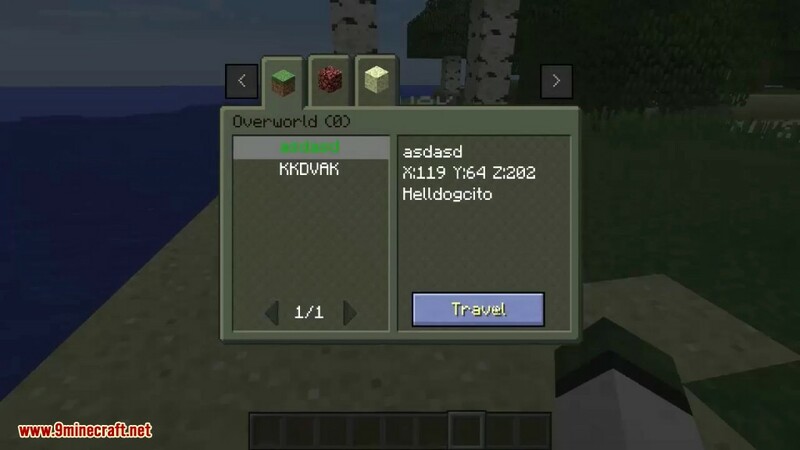 You can get started with the mod without the need of looking at anything else just get killed by a mob to unlock the first advancement, which will guide you to the everything else in the mod and unlocking recipes for the recipe book. You can see all these recipes inside the recipe book. To create a bonfire you need 2 items. A Pile of Bone and Ash and a Coiled Sword. The items in the top are homeward bones. These are used to return to your spawn point but are consumed on use. Your spawn point is stored per dimension. 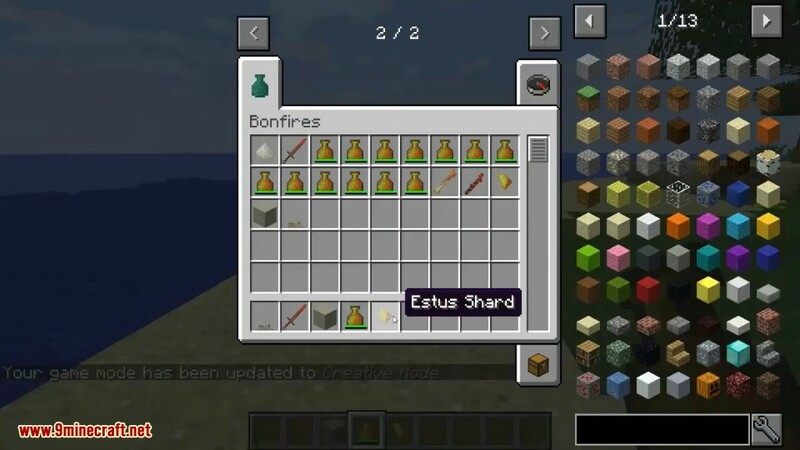 The items in the bottom are Piles of Ash which have a chance to drop from mobs when burnt to death. Once you have both place the Pile of Bone and Ash on the ground and then right click it with the Coiled Sword. This will place the coiled sword on the pile creating a bonfire. 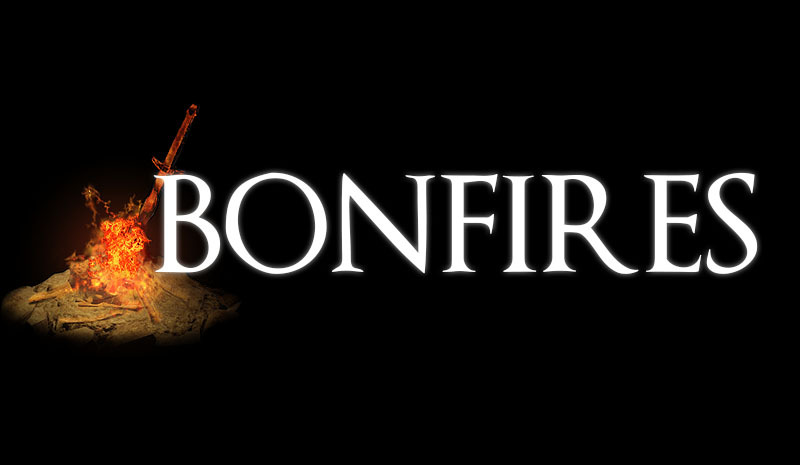 Now to light the bonfire you simply right click the bonfire which will then allow you to name the bonfire. 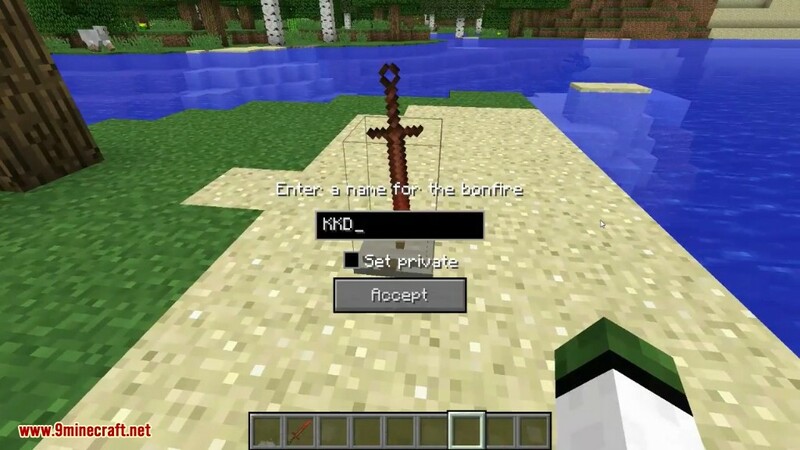 When naming the bonfire there is also the option to set the bonfire as private which will hide the bonfire from other players so they can’t travel to it but can travel from it. However, since bonfires are like teleporters they are only really useful if you make 2 of them. If you destroy a bonfire it will drop a Coiled Sword Fragment which acts just like the Homeward Bone but is not consumed. It can also be used to create a Coiled Sword for less materials, this recipe is shapeless. The Estus Flask when crafted has 3 uses which can be increased using Estus Shards. To reinforce the Estus Flask simply right click while holding an Estus Shard with the Estus Flask in your inventory. Drinking the Estus Flask will heal 3 hearts. Lastly Ash Blocks can be crafted which act exactly like sand, this recipe is actually also shapeless but there’s no way to tell that! 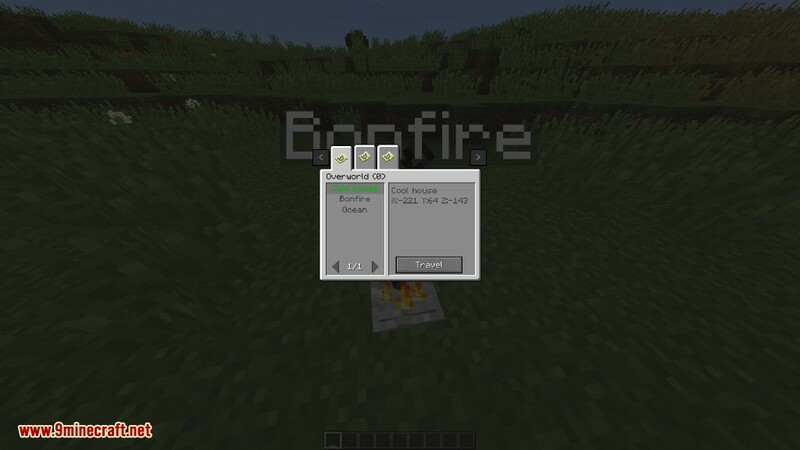 This command is used to display the bonfires in the world based on the filters given to it.